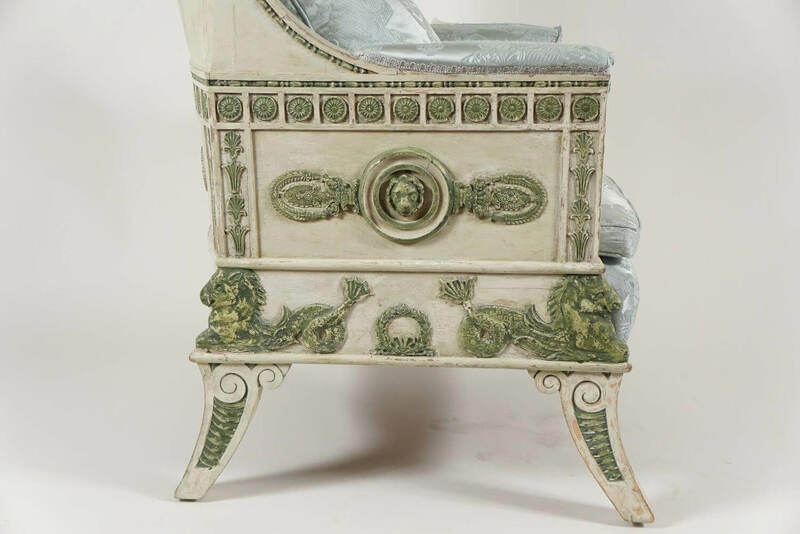 A rare, exceptional, and visually dynamic Baltic Empire style bergere of neoclassical form having polychrome painted carved wood frame with klismos form upholstered 'wing' backrest, armrests, interior-sides, squab cushion, and seat, and all-around solid wood sides carved and decorated with bead-and-reel, rosette-in-panel, anthemion, and bellflower borders, hippocamps, lionhead roundels, and wreaths on carved scroll-and-scale supports. 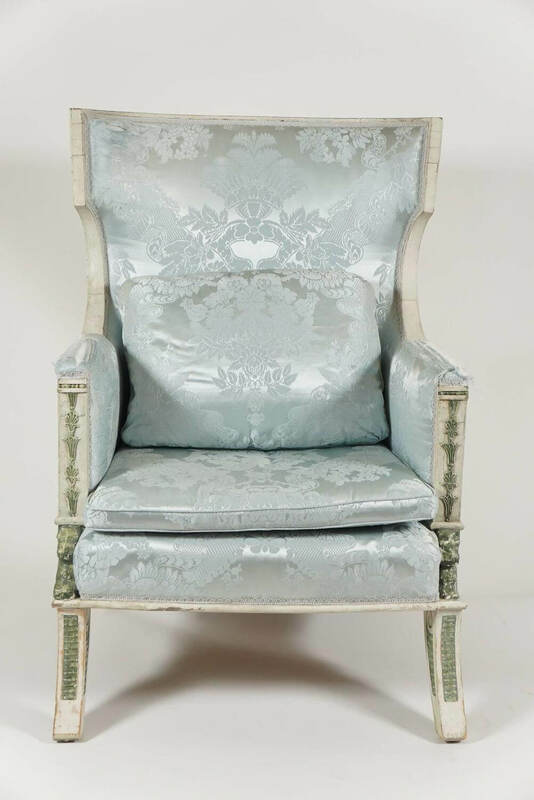 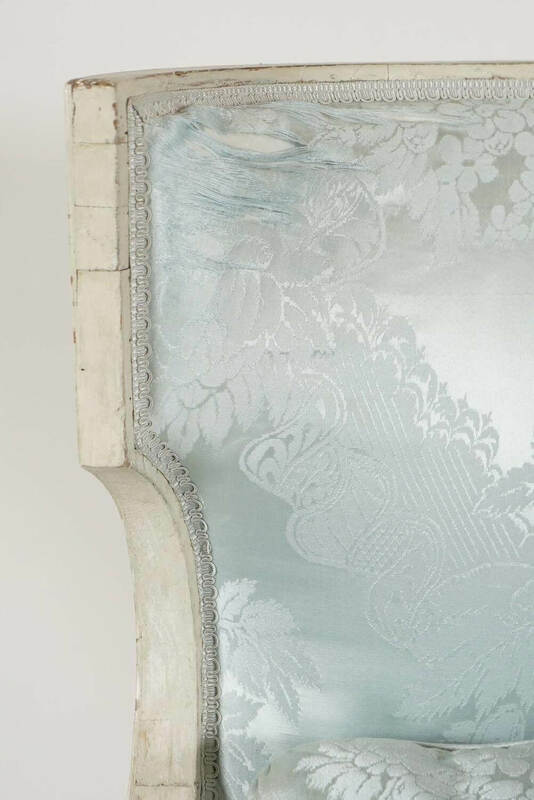 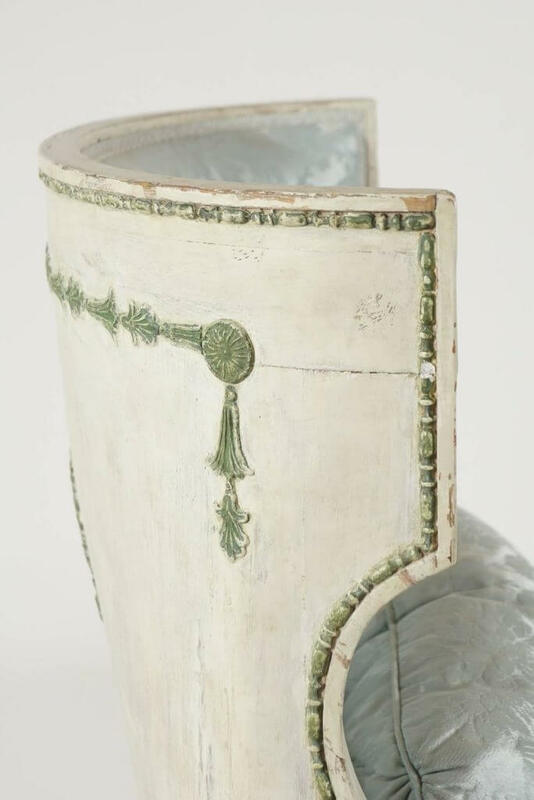 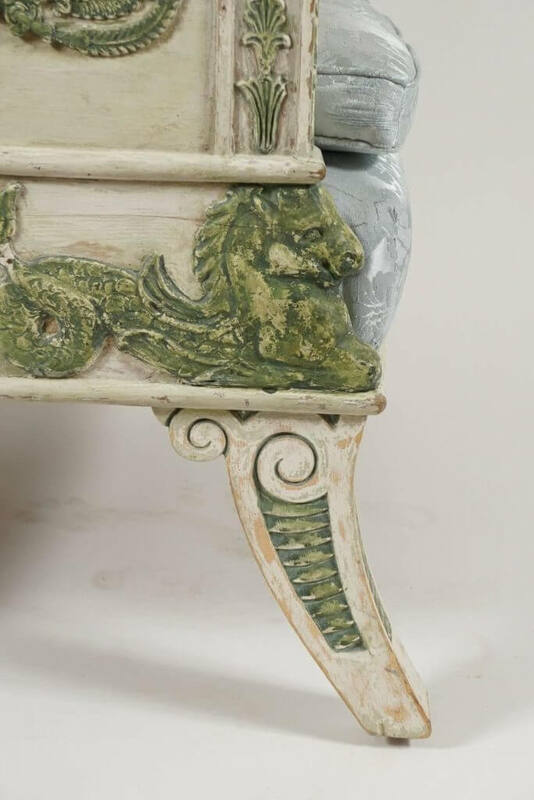 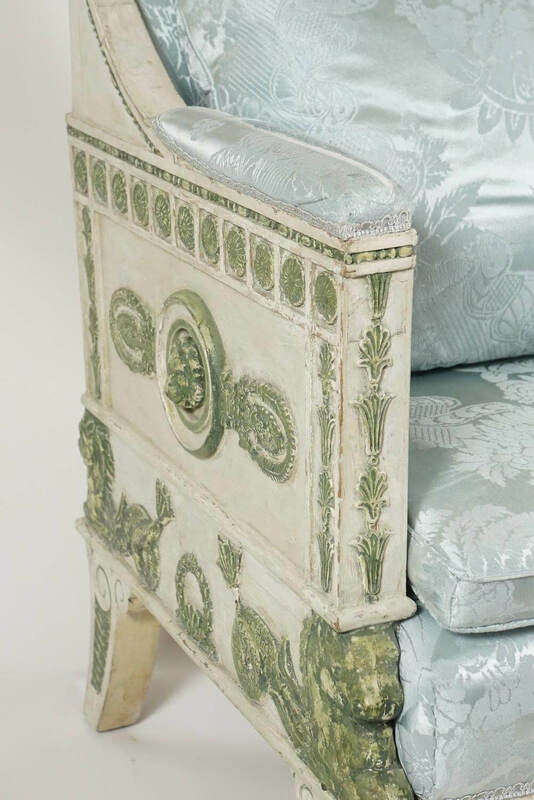 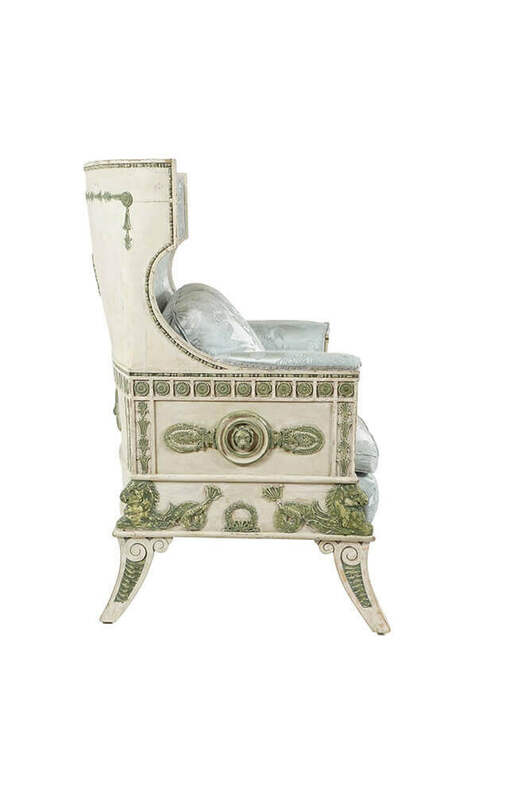 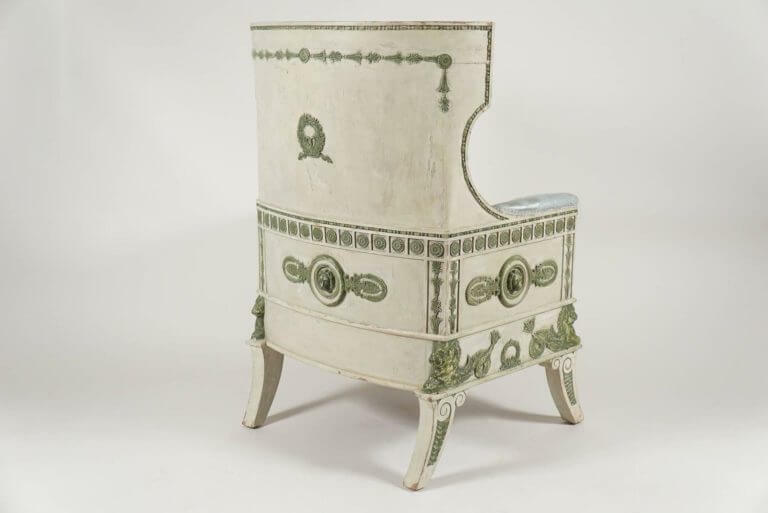 The design of this chair is based upon plate 39, 'Armchair made for Monsieur L. in Paris', in Charles Percier and Pierre Fontaine's monumental work of 1812, "Recueil des Décorations Intérieures" which encapsulated and defined Napoleonic style. 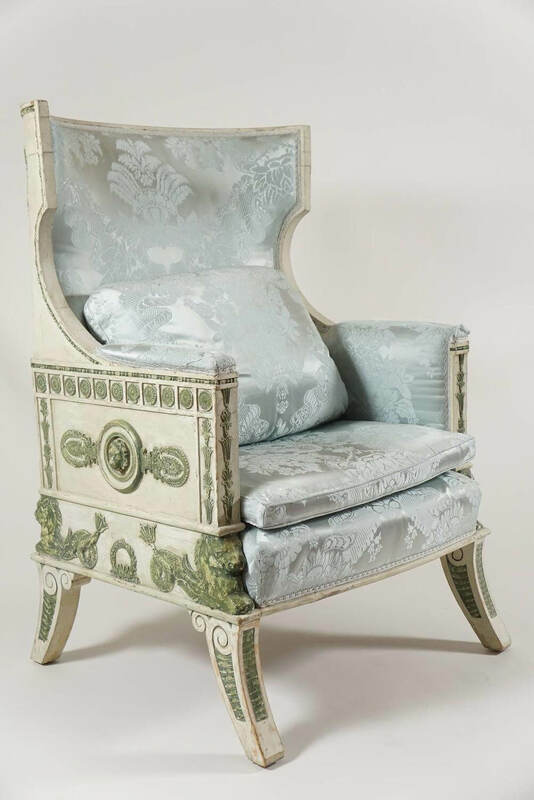 A rare, exceptional, and visually dynamic Baltic Empire style bergere of neoclassical form having polychrome painted carved wood frame with klismos form upholstered ‘wing’ backrest, armrests, interior-sides, squab cushion, and seat, and all-around solid wood sides carved and decorated with bead-and-reel, rosette-in-panel, anthemion, and bellflower borders, hippocamps, lionhead roundels, and wreaths on carved scroll-and-scale supports. The design of this chair is based upon plate 39, ‘Armchair made for Monsieur L. in Paris’, in Charles Percier and Pierre Fontaine’s monumental work of 1812, “Recueil des Décorations Intérieures” which encapsulated and defined Napoleonic style.